In Mozambique, Turkish President Recep Tayyip Erdogan called on his Mozambican counterpart Felipe Nyusi to take action against exiled Muslim cleric Fethullah Gulen, whom he blames for last year's failed coup in Turkey. 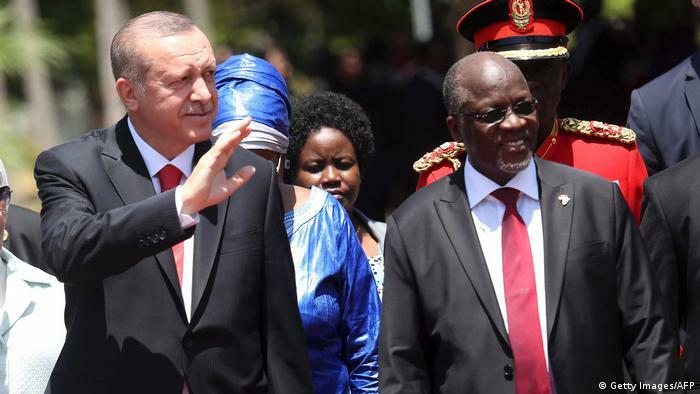 Earlier this week, during a stopover in Tanzania, Erdogan warned at a joint press conference with President John Magufuli that he has evidence "that those elements who tried to topple our government are active in other countries as well." "Other countries" was a reference to African states in which Gulen's Hizmet movement operates its international network of schools. These establishments have helped to spread Turkish culture and influence abroad. Since the attempted coup in July 2016, however, the Turkish government has been mounting a crackdown on Gulen's operations. Erdogan is trying to drum up support for these punitive measures on his five day African tour. Erdogan wants the Gulen-linked schools in Africa to be closed down, yet they are the very educational establishments which are popular with Africa's middle class. They are an inexpensive alternative to French schools, Ibrahamia Bano Barry, a sociologist at the University of Sonfonia in Guinea, told DW. "If parents send their children to Turkish schools, it is not because the schools are Turkish, but because they employ good teachers. 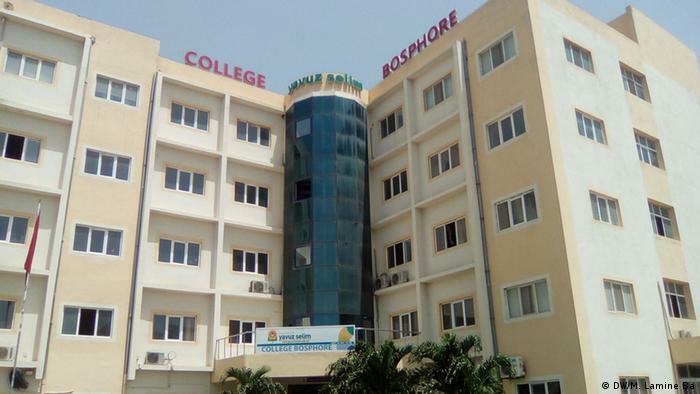 Africa's middle class want good schools," he said. There are some 20 Turkish schools in the Guinean capital Conakry and they have sprung up all over Africa in recent years. Efforts to spread Turkish cultural values and educational standards are therefore said to be closely linked to Gulen and his operations. Ufuk Tepebas from the Center for African Studies at the University of Basel in Switzerland believes that Erdogan should tread carefully. "The Turkish government should follow a careful and patient strategy," he told DW. Erdogan will have to supply convincing evidence to back up the allegations he levels against Gulen and offer alternatives, if he is to win over his African partners, he said. "Otherwise some African countries may perceive this as an imposition and this constitutes a risk to bilateral relations." Relations with Tanzania do not appear to have suffered. President Magufuli has asked Turkey for loans and investment for the construction of a rail link from Dar es Salaam to Zambia. It will connect Tanzania to Burundi, Uganda and the Democratic Republic of Congo. The project has been put out to tender and a Turkish construction company has a good chance of clinching the deal. Other donor countries pulled out of Tanzania following a corruption scandal there in 2015. Kristian Brakel from the Istanbul branch of Germany's Heinrich Böll Foundation believes that Turkey's economic interests are the chief reason for Erdogan's African tour. "Turkey is looking for new markets for its small and medium-sized firms," he said. The anti-Gulen offensive is a relatively minor affair. "Turkey is putting enormous pressure on its African partners, but that is not the primary objective of this visit even though the press often interprets it as such." In the medium and long term, Turkey wants to find a substitute for markets in the Middle East, such as Syria and Iraq, Brakel said. Small and medium-sized companies have grown in strength in Turkey under Erdogan's ruling Justice and Development Party (AKP). They belong to what is referred to in Turkey as the "devout trading class" which supports the AKP. Erdogan, in turn, is seeking openings in Africa on their behalf. "Erdogan is not targeting specific markets so much as raising Turkey's profile in the region. He is, however, looking for a foothold in markets that could become more interesting in the future. The market for Turkey's construction industry in Africa is promising, and the Tanzanian rail project comes at a fortuitous time. But Turkey's involvement in Africa is far removed from the huge scale of China's engagement on the continent. "I get the impression that Erdogan and his grovernment are making a point of trumpeting their involvement in Africa," Brakel said. "There is a lot of noise, but little in the way of real substance." Erdogan visits Madagascar on Wednesday before returning home.